As of October 1, 2013, companies with less than 50 employees will have the option to choose the SHOP for their employees. Coverage for their employees and dependents would begin as of January 1, 2014. 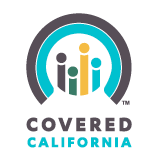 Small employers will want to consider the option of CoveredCA's SHOP as they consider their options for January 1, 2014. A clear advantage for the employer is the ability to offer more than one carrier option (including Kaiser) without the carrier participation requirements. For more information on CoveredCA's SHOP announcement you can review the press release and brochure on the SHOP. Links to both are noted below. CoveredCA Press Release CoveredCA SHOP Brochure Details on available plan design, premiums, and new legislative requirements continue to change on what seems to be a daily basis. As employers and employees look to consider the best options it is important to consult with a benefits consultant who can map out what plans best meet your needs.